Here’s a “during” shot, showing the first shear, when the shearer is taking off the entire back fleece in one piece, like a blanket. This piece is called the “first,” and is regarded as the best fleece on the animal. “First” cuts and “seconds” (typically off the sides and neck) can be used to spin yarn, but the “thirds” (off the legs, head, and trimming up all over) are scraps and can’t be used for much of anything. This was a bit of an unusual knitting project – a very simple pattern, published on the Purl Bee, just cast-on 41 sts and knit one side, K1 slip 1 the other side until you run out of yarn. The unusual part was the yarn – Big Stitch Alpaca Bump, with a gauge of 1 st = 1″ on US 50 needles! The bump is 70% alpaca, 30% wool in color Cream – I used two bumps and knit on US 36 needles, with a finished size of 38″ x 44″. It took only two evenings, but my hands were pretty sore, trying to manipulate those huge tree trunks as needles! This was a labor of love dedicated to my new bedroom floors, which – when they’re installed – will be dark, hand-sanded walnut, and I think that this cream plushness will look beautiful against them. I like both sides of the rug – can’t tell which is the “right” side or the “wrong” side. The question is, how will it wear if I’m stepping on it as I get out of bed every morning? And, how will I ever keep my cats off of it? I wanted to find a way to show off the beautiful natural shades of alpaca yarn in Herriot, one of Juniper Moon Farm’s new yarn lines, but I didn’t want the pattern to be so busy or difficult that it detracted from the colors themselves. I looked in vain on Ravelry and just couldn’t find something that I liked, so I decided to use Rivage, the Brooklyn Tweeds scarf design that I recently used with Loft yarn. The pattern is designed to show off a range of tonal colors, which I thought would be beautiful with the Herriot yarns. I knit on US 7s as the pattern recommended, and as a result the scarf came out significantly larger than when knit with Loft. I used the inch count (instead of the row count) to determine when to change colors, so that the proportions remained the same. I used Tale (color A), Walnut (color B), and Eucalyptus (color C) and managed to use up just about every bit of each skein (218 yds/ea). The very last five-inch section of the scarf is supposed to be in color A, but I had already run out of Tale, so I finished it off in Walnut, which looks just as good and means that I can say I finished this scarf with just one skein of each of the three colors! I garter stitched 6 rows on each end, to keep the short edges from curling. When it was all done, I realized it was too wide, and the long edges curled in horribly – maybe could have been fixed by blocking, maybe not. So, I folded the scarf in half lengthwise and mattress seamed up the open long edge and seamed the two short edges closed. 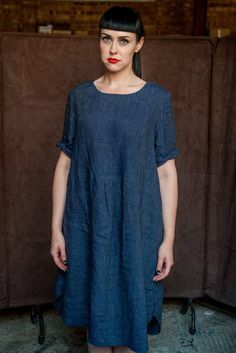 I like the final product – it’s a good width for wrapping around my neck, it feels warm and thick, and there’s no front and back, so it looks good no matter how it wraps and twists. My first batch of yarn from our resident alpacas Cappella, Mira, and Encore. They were sheared in early June and I took the fleece (just the “firsts” and “seconds” – the “thirds” were only good for stuffing a dog bed I made for Maizy) to Fantasy Fibers in Canby. A little over three months later . . . ta da! They washed, combed, carded and spun the yarn. I had it spun in sport weight because I wasn’t sure how much I would get – I was blown away, I ended up with at least 12-14 skeins (each approx. 220 yards) from each alpaca! That means around 8000 yards of yarn! Because I have so much, I think I’ll knit it double-stranded, at least for the first project, so that it’s more of a worsted weight. Now, what to knit . . .
Here’s our three girls – before shearing . . . This is my new favorite sweater – although it took FOREVER to knit, from the bottom up on US 4s and it seemed like I knit stockinette for most of the summer! 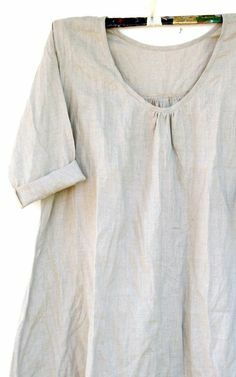 This made it the perfect summer traveling / vacation project, and I got the bulk of the body knit on long drives. The smocking on the top was a new skill, but I didn’t find it difficult to learn once I viewed it on an online video. I used Joseph Galler Heather Prime Alpaca for the yarn – a 100% superfine alpaca from Peru, DK weight, and a whopping 665 yards per skein. For this reason, the entire sweater took only two skeins of Color Pennyroyal. The sweater is Coraline, a pattern by Ysolda Teague – this is the second one of Ysolda’s sweaters I’ve knit (I knit Liesl earlier this year) and I’ve found both patterns to produce results that fit wonderfully. I used the recommended US 4 needles, and knit size 40” (the smallest option on the Large – 2X pattern). The fit is beautiful everywhere except it’s a little tight in the armpits, but that’s because I messed up and forgot to knit several rows before beginning the smocking. Oh well . . . The buttons are handmade from this Etsy site. They’re larger than the little seed buttons used on the pattern model, but they matched so beautifully, I liked them best, even though it gives the top of the sweater a slightly different look. The alpaca yarn drapes beautifully and feels very soft, lightweight and warm, all at the same time. Okay, this one definitely falls into the category of “never again” . . . the center panels seemed to take a long time, but they felt manageable – however, once I started on the edging, I realized that this was the knitting project that would never end! Luckily, I ran out of yarn – even though I was supposed to be able to finish the entire project with just one skein – after completing the edging called for in the pattern on just one long side. Since I didn’t want to buy another 650-yard skein (and since I was more than ready to be done with this project, anyway) I punted and finished up the other three sides with an edging of one row of garter stitch, one row of K2 y/o, and a final row of garter stitch, before binding off knit-wise. I actually like how it turned out – it looks like it’s supposed to have the V-shaped edge on only one side, so that the other side runs more smoothly along my neckline. All I can say is that if I’d had enough yarn to finish up all four edges with the prescribed edging, I suspect that this project would have gone into hibernation for an indefinite period of time . . . The yarn is a beautiful 100% superfine alpaca in 3-ply medium weight – Joseph Galler’s Pure Alpaca in color Natural. I purchased only one skein, since there is a whopping 665 yards per skein, and knit on US 6s. The pattern is Jared Flood’s Celes – this is not lace for the faint-hearted, not because it’s unduly complicated, but just because it gets tedious and it does take a VERY long time to finish. The finished product is stunning, and I like how the size makes it extremely versatile – shawl to scarf to wrap. Because the yarn is so fine it feels very soft and light-weight, even though its footprint is really very large. It feels and looks like an heirloom piece, and I’m happy to have it, but not likely to undertake the pattern again! Lace knitting is usually too detail-oriented for me to handle when it comes to a big project like a shawl, but because this project was knit in worsted weight yarn on US 9s, I gave it a try, and the result was truly lovely. The yarn is incredibly soft – Misti Alpaca Tonos Worsted (50% baby alpaca / 50% merino) in color Atlantis. 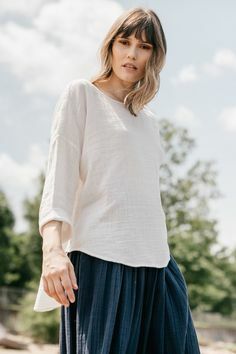 However, what you gain in softness you give up in crisp definition, and while it feels wonderful to wear, it doesn’t show off the lace pattern like the yarn used on the pattern handout does. Nonetheless, it looks beautiful when it’s worn, and while I’m usually challenged by exactly how to wear a scarf (do I tie it? do I loop it? what do I do with this loose end? 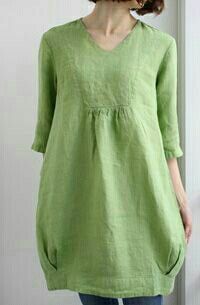 ), this one is really versatile and can be worn countless ways. I ordered four skeins but ended up using only two, with a little bit of a third (I hate it when I’m left with almost an entire skein!) The pattern is called Hawthorne, available for online purchase here. It is a little more difficult than your average pattern – there is a 34-row knitting chart that you have to follow – but all of the stitch reductions are built into the chart, so there’s no guessing as to what you’re supposed to be doing. If I can muster the patience to repeat the project, I’d love to try it in a different yarn and color, for an entirely different look. This is a newly released pattern from Alana Dakos at Never Not Knitting – it uses a soft, squishy and warm yarn called Misti Alpaca Chunky and is knit on US 8s and 9s. It knits up very quickly – in an evening – I used the same color as the pattern (cimarron #683) but the photos on the pattern make the color look closer to cinnamon, when in reality, it’s more brown with cinnamon highlights. The pattern is unique – kind of like a scarf, but you don’t have to mess with tying it or figuring out how to wind it around your neck. The shawl collar snuggles around your neck, and you could tuck the bottom portion (with the buttons) into a jacket, or leave it on the outside. I think it’s a great idea – just have to see how often I wear it. Since the buttons are a real centerpiece for the item, I searched around on Etsy until I found these from Blarney Yarn – I was looking for wood buttons, but these are made of polymer clay and match beautifully. 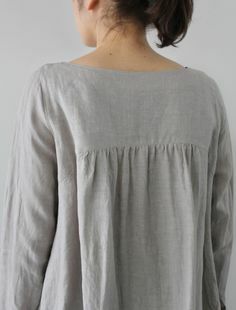 They’re a little large and heavy, but I like the look and since I just slip it on over my head, I don’t need to constantly be buttoning and unbuttoning. I’d love to see how this looks in other colors, if anyone has a knitting example to share . . .
During our annual summer trip to San Juan Island, I visited one of the alpaca farms there and picked up this beautiful, undyed skein of 100% alpaca yarn from Honey Lane Farms – I wanted to get an idea of what our yarn from our own alpacas might look like in the future, and how it might knit up. I found this pattern on Ravelry for free, and the mitts knit up quickly on US 5 DPNs. I learned several new stitch patterns, including the lateral braid and the linen ridge stitch. I love the styling on these mitts, particularly how long the cuffs are, and the fact that even though there are no tips to the fingers (which makes the most sense for our mild winters here in Oregon), there are still individual fingers (takes a little while longer to knit, but creates a better appearance and overall fit). The alpaca yarn knit up beautifully and is so soft, with a fuzzy halo, yet very lightweight, too. I have great plans for the yarn we’ll hopefully make from our alpacas’ fleece next spring! For my oldest daughter’s tenth birthday, we put some of our acreage to use, put up a fence and a simple lean-to shelter, and purchased two alpacas. Capella, the solid brown one, is a two-year-old female, and Mira, with the white face, is an eight-month-old female. We first met them on our visit to Sylvan Skies Alpaca Farm, where my daughter held her birthday party – an alpaca theme, complete with matching birthday cake. They’ve recently been sheared, so they don’t look as fuzzy as usual – except for their heads, it makes them look like they’ve got furry mops over their eyes! The next step is to get the pasture cleared – because they’re brush-clearers, we thought we could make a go of it without first clearing the land, but it turns out that they don’t like thistles, which is about all we’re growing out there right now . . .
Now if we could just get the alpacas to quit running away from us . . . it’s going to be hard for my daughter to use them as her project for 4H if she can’t catch them!